Today is a wonderful day, the sun is shining and I can see the ocean in the distance from the slopes of the mountain on which I work, but for the last week or so Cape Town has had terrible rainy weather. Many of the informal settlements have been flooded and people are saying that it’s the wettest winter in years. Ironically in the north of this country they are battling terrible wildfires and the death toll from that is now over 30, including 6 fire-fighters. On Thursday, after a particularly loud thunderclap, a flash came out of the wall where my computer is magically connected to the internet… and the magic stopped. Luckily the computer was unscathed, but my connection to the outside world came to an abrupt end. I’m back on-line now, so it’s all good. We are expecting more rain on Thursday, great weather for staying at home knitting and quilting, but not so great for going to work. The quilt is starting to come together as I join the rows and add in the prairie points. Then I need to think about top and bottom borders. I’ve decided to alter the pattern a little. I need some advice from the knitters out there. The pattern for the baby sweater I’ve knitted instructed me to knit a button flap. I’ve done that. Any ideas on how to set in a sleeve to a shoulder seam that is not sewn up? It’s driving me nuts and I just want to get it finished so that I can start the next thing (cute cardigan made from sock yarn that Gorgeous Man bought for me at Stitches DC on his last visit to the US). I had to frog the lace socks, once they got long enough to try on I had to accept that there was no way they were going to fit. I’m knitting a plain stocking stitch sock with the yarn instead. Pictures when the first one is finished – hopefully tonight. 40. Spit & Polish Barry Ronge – this is another one of the books that Gorgeous Man won. 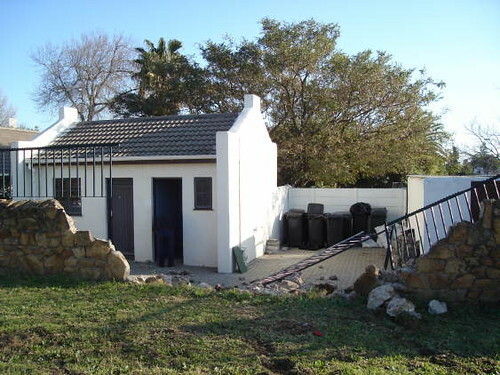 Barry Ronge is a columnist for one of the big South African newspapers and this is a collection of his essays. It was an interesting insight into some of the issues that have had the country talking over the last decade or so. 41. Harry Potter and the Deathly Hallows JK Rowling – what can I say, I succumbed to the mania and pre-ordered. I enjoyed it, but did feel (and now I’m going to speak heresy) that it was a little long-winded and kind of anti-climactic. Could have left the last chapter off. That’s all I’m going to say. When we graduated our last crop of students they surprised me with a gift. I was somewhat surprised since I wasn’t stopping work just then, but they explained to me that some of them were leaving and so wanted to give me a present for the baby. It was very sweet. The gift contained some cute denim overalls and some pants and tops. It also contained a plain green fleece blanket. 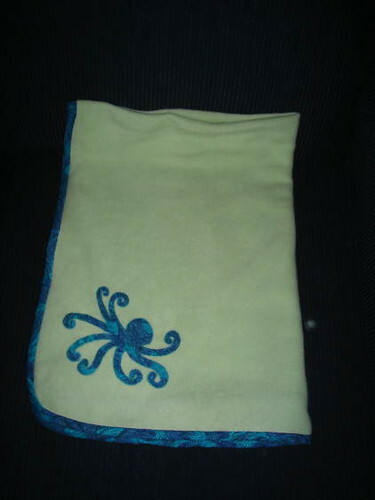 I appliqued an octopus onto it and blanket stitched it down. Then I started blanket stitching around the edging in variegated thread, but it just didn’t look right. Gorgeous Man suggested a material edging, so I cut up what was left (I literally had 1/4 inch left over after cutting the binding) machine stitched it onto the front and hand stitched it onto the back. I’m really pleased with how it’s turned out and I’ll be visiting some fabric stores to get more material to make some more.I’ve got quite a few designs floating around in my head. 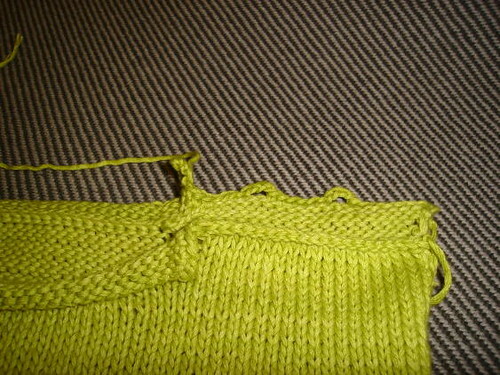 Tonight is ‘working on knitting for me/off-spring’ night so I should have a sweater sewn up and ready to show tomorrow. Oh, and tomorrow I’ve booked myself in for a pregnancy massage. Gorgeous Man sent me for one after our big road trip to Kruger and back, and it was heaven. I can’t wait! I haven’t been sleeping well as my back has been quite sore, so hopefully this will help. Even if it doesn’t, an hour of pamering is still nice. I got a fair bit of stuff accomplished this weekend, but I was like a butterfly flitting from one project to another – socks, intarsia sweater, African animal quilt, and baby blanket. Then, on Saturday night we picked up our pre-ordered copy of a certain book that was released with great fan-fare on Friday night (Saturday morning – we are too old to go to launches like that, ok I really need my sleep at this stage…) and Sunday was spent immersed in the magical world of 3 young friends. No spoilers please, I haven’t finished reading it yet. I’ve been modifying a receiving blanket we were given and I’m really pleased with how it’s turned out. There’s choir rehearsal tonight, but I think it will be finished by tomorrow. On the quilt front, the sashing is pieced and now I’m tacking prairie points together then the top needs assembling and the back pieced. I’m going to try hand quilting it, so that will be another new experience. I’m procrastinating sewing up the intarsia baby sweater because that’s my least favourite part of knitting. Thanks to those of you who commented on the cloth nappy/diaper issue, we will probably end up taking that route. Luckily, this is the storage area for rubbish bins and equipment for the gardeners and maintenance people. Luckily it’s also nowhere near our house. I’m working on a red cardigan for the Hottentots Holland Helpers, but I’ve had such a bad run with it. I frogged about 10 rows of the left front last night, so not much progress to show there. I am hoping to have some Finished Objects to show after the weekend though. We have a nasty cold front coming in, so it will be perfect crafting weather. Just a quick question. Is anyone out their cloth diapering (or as we would say here, and in Australia – using cloth nappies?). I’d be really interested in any feedback or advice you can give. We have found a supplier of pre-folded nappies here and we are going to have a look next week – requires a trip in to Cape Town. One of the things I love about travelling with Gorgeous Man is that I get to see stuff that I would otherwise miss. I’d be pretty right seeing stuff like this on my own. But I’m pretty sure I would have driven over right past this little guy. 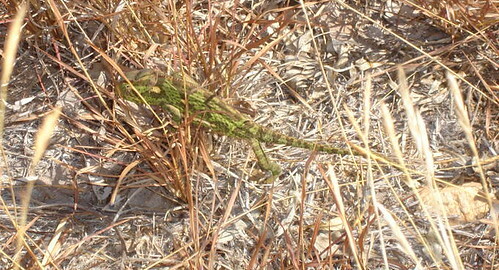 Gorgeous Man has some great shots of the chameleon actually on the road at his blog. 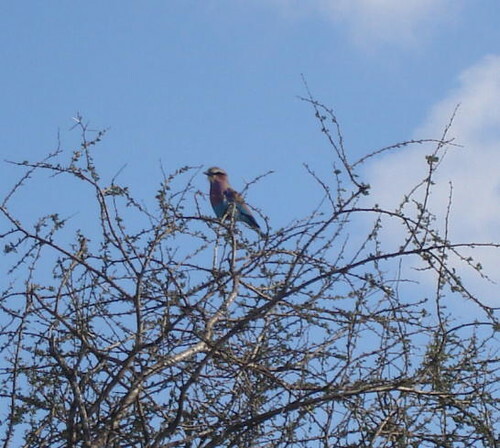 I also would have missed this lilac breasted roller. Not the best picture, but not bad for a little digital. 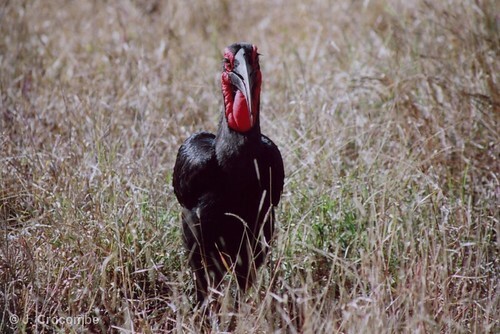 Gorgeous Man got very excited when we came across a group of Southern Ground Hornbills. 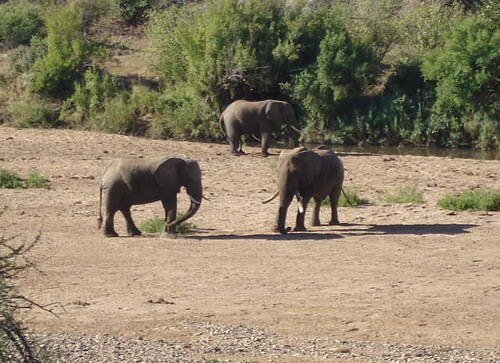 We saw a group of males and females and a juvenile. They are currently the subject of a study, so our sighting got logged in. Finally here’s a picture for those of you who think that Africa is warm all the time. 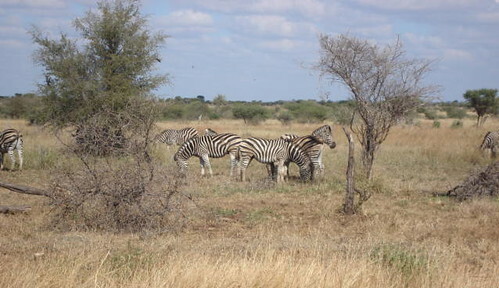 Kruger Park is in the north of South Africa, and we live on the southern tip. Coming home we drove through snow, we pulled over and I took this from the car window. 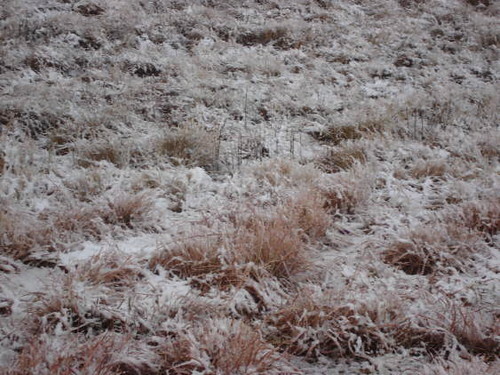 I declined Gorgeous Man’s generous offer to take a picture of me standing in the field – it was still snowing. 38. Texas by Tom Eaton. This is a South African novel (it was part of the package Gorgeous Man won from Penguin last year). Biggest waste of reading time this year. Really didn’t enjoy it. Enough said. The sleeves on the baby sweater are finished and cast off. The shoulder seam is sewn and now I need to pick up the neck and sew it all together. My least favourite part of knitting. Here is the latest sock in progress. The pattern is Yukon Leaves and the yarn is Opal Tiger (bought locally!!). I like the pattern a lot, but think it’s a bit lost with this yarn. I’m going to have to do another pair in a plain yarn I think. Are you sick of animal photos yet? These are Gorgeous Man’s shots of the elephants wrestling. 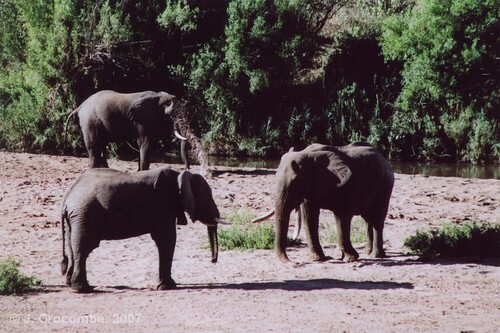 Note the muddy water being tossed in the air by the elephant at the back. 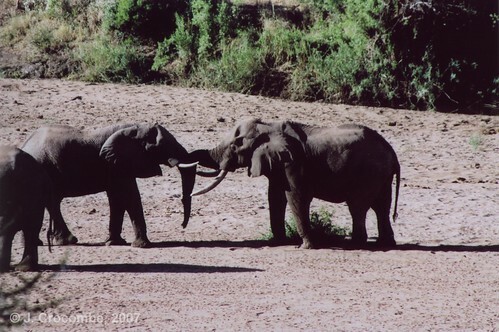 The elephant equivalent of arm wrestling? Tusks banging. 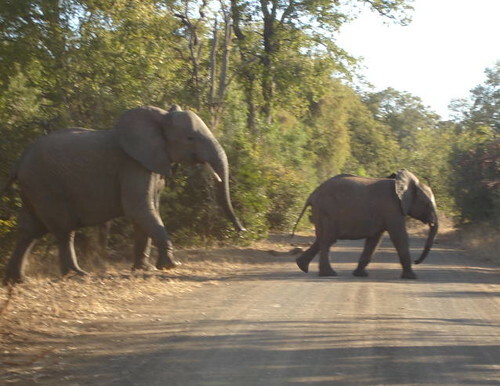 It was actually very cool to see this sort of behaviour, and because we were the only car around we had an uninterrupted view. Now that Gorgeous Man’s socks are finished, and keeping his feet nice and cosy, I’m back to my regular rotation system of projects. So, tonight is quilting. Hopefully I’ll get enough done to warrant a picture or two. I’ve been getting heartburn pretty badly, but I hate the medicine prescribed by the doctor – tastes foul. I’ve discovered that sugarless chewing gum will take the heartburn away – doing the happy dance. We are still not comfortable with the childbirth educator and are tossing up whether to try and find another one. We’ll probably make a decision after the next couples’ class in August. My friend who had a baby 10 weeks ago raved about her, and other people who have been to classes with her keep telling me how wonderful she was. That hasn’t been our experience so far, and the women in the class are rather unfriendly. I tried to initiate conversation last night with the girl next to me and got a two word answer. Probably didn’t help that when I was asked to draw the lucky number I pulled my own out of the basket…(prize was baby soap and bath oil – which I probably won’t be using since we’ll most likely go the organic option). Anyway, on to other things. 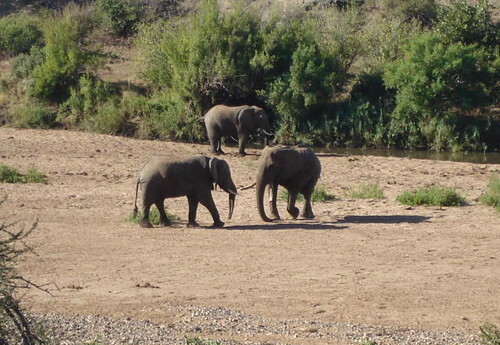 While we were in Kruger we were lucky enough to see elephants taking a dust bath in the river bed. These photos were taken with the magic of a zoom lens as the river bed is much lower than the road. 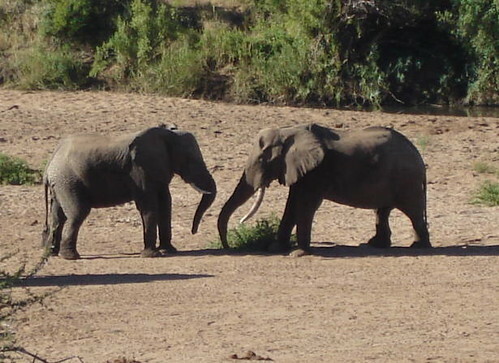 If you look closely in this next picture you can see the dust being snorted out of the trunk of the elephant on the left. These two then started to get a little aggressive with each other. 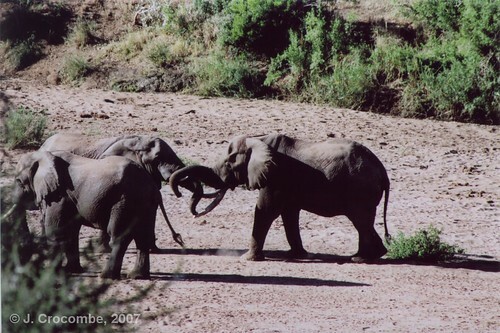 Unfortunately, my photos of them actually trunk wrestling (and tusk banging) turned out blurry. I’ll get some off Gorgeous Man – it was on his side of the car – and post them at a later date. 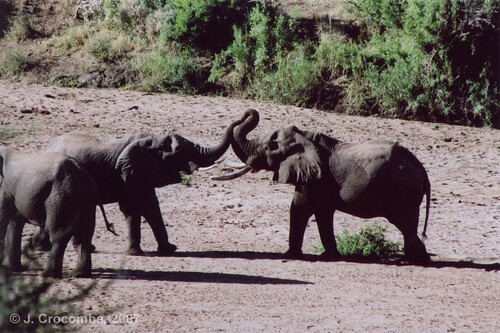 The sound of the tusks smashing together was really quite something. The bird hides were wonderful for seeing animals other than birds. 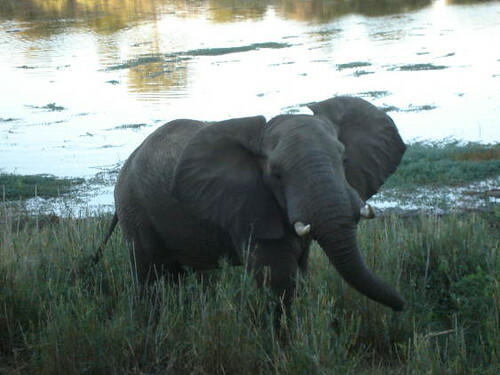 This elephant came in really close to the hide and the picture was taken without any zoom. We also saw lots of mothers with their young, like this pair crossing the road. 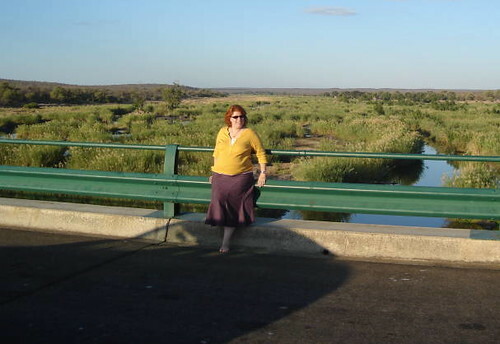 In keeping with the elephant theme, here I am barefoot and pregnant at the Olifants River (Olifants means elephants in Afrikaans, I’m not comparing size…). You can get out on this bridge, provided you stay within the yellow lines at the centre of the bridge’s span. The latest sock is long enough to photograph now, and I’m hoping to get the sleeves of my latest baby jumper off the needles tonight, so there will be a crafty post tomorrow. and began a new project, but there isn’t enough progress on any of them to be worth showing photos. I’ve decided that I just wasn’t feeling the tunisian crochet love enough to make a whole blanket out of it, so I’ve given myself permission to cast it aside. So some new socks jumped onto the needles. I’m trying socks with lace this time. 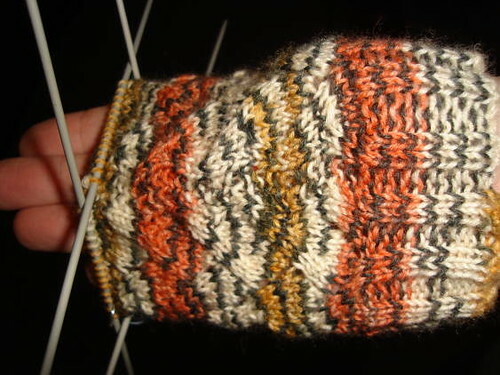 Pictures when it’s long enough to slip onto the foot and show the pattern. Gorgeous Man and I went to the movies on Sunday. A certain movie about a certain young wizard. I enjoyed it, but I’m a bit of a fan. We have two cinemas near us. One is in the big super mall and the other is in a town about 20 minutes away and is much smaller. It costs us half the price to go to the smaller one. The big cinema in the mall also assigns you seating. I’ve never seen this before anywhere. The odd thing is that people stick to the seats they are allocated. Last week we saw Amazing Grace – there were maybe 30 people in the theatre and all of them sat where they were told. The smaller cinema doesn’t allocate seats, I did get a little uncomfortable during the film – will have to take a cushion for my back next time, and Gorgeous Man had to help lever me out of the seat at the end of it. I do have some elephant wrestling pictures to share from our trip to Kruger, but that will have to wait for another day, as they are still in the camera. By the way, The Heathen Housewife is having an awesome contest. Head on over and leave her a comment.